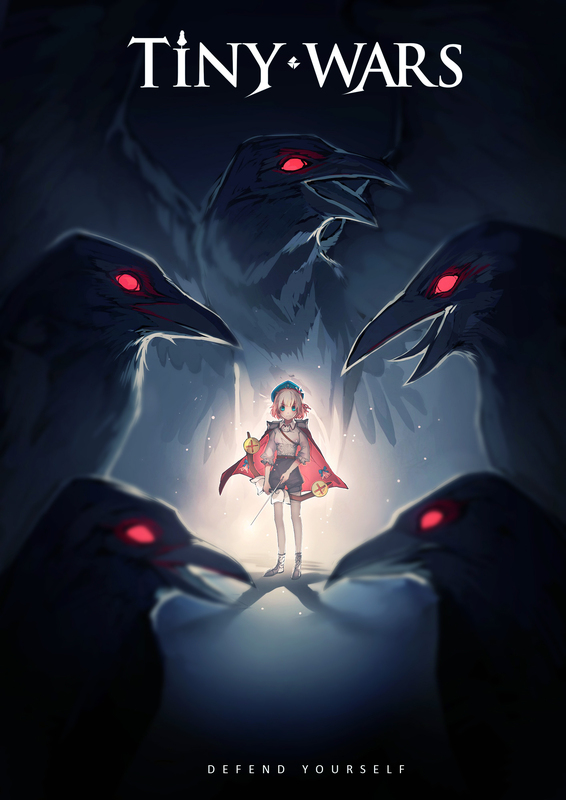 TinyWars is an anime themed tower defense game which featured a tremendous story with awesome characters and music! We have packed a lot strategy mechanics within our game that can be considered new and unique. We hope to launch our game soon and make everybody who plays our game very happy! The TinyWars gameplay prototype was officially released to the public, here's some details about the gameplay, screenshots, what to expect, and some tutorials in getting past the first and very difficult few waves of the game! The TinyWars gameplay prototype is available for download! for Android and PC. In this article we will discuss some of the effort that went into the development, details about the prototype itself, and some strategy about how you can beat this prototype which is not as easy at it looks! Of course, it is a prototype, so that means it is free to download. The official download page from the TinyWars website can be accessed here. You can also find the prototype easily by searching "TinyWars" in the Google Play store. TinyWars is an anime themed defense game where players must defend themselves against oncoming hoards of enemies. The goal of the game is to survive all of the waves in each level. Players earn points for every enemy that they destroy, these points can be used to purchase/upgrade units to help defend against the enemy hoards. If you can survive all the waves in the level then you win! Player starts off with 10 HP points, that means you can only take 10 hits of damage before it's game over. Don't let the cute anime girls or fun music distract you, this game is anything but easy! Awesome Game, but What is TinyWars ABOUT??? I see, you were asking more along the lines of the story? The gameplay prototype does not feature any story, however it does feature elements and mechanics, such as the personalities of characters. The story of TinyWars is a tale of tiny people, that's right, people that are literally tiny. And of course, like all civilizations, conflict exists... only... theses wars are tiny (literally) but the wages of these wars are quite large. You will find that the story line of TinyWars is actually quite mature and features some heavy themes of death and loneliness. We have said this many times in interviews, but a casual gamer who is not interested in the story will experience cute anime girls in a rated E game. Those who enthrall themselves into the lore and secrets of this story are going to experience a completely different game. I suspect that the final TinyWars game may receive an M rating once all the story elements and cutscenes have been put in place. a casual gamer who is not interested in the story will experience cute anime girls in a rated E game. Those who enthrall themselves into the lore and secrets of this story are going to experience a completely different game. When Will the Story Demo Be Released? We are looking at a mid-2017 release for the story demo, however due to the acquisition of artistic elements, it may take longer. Regarding the prototype, it was perfectly acceptable to release it with unfinished character animations and graphics, because our focus was on the gameplay and mechanics of the game. However, the story demo needs to be a very accurate representation of the final product, we are going all in on this. We hope to release it mid-2017, but it may not be released until Q3 or Q4 at the latest, it is very difficult to tell. The Story Demo will feature the first 4 levels of the proposed final project with cutscenes, boss fights, and things we plan to integrate in for the final build. 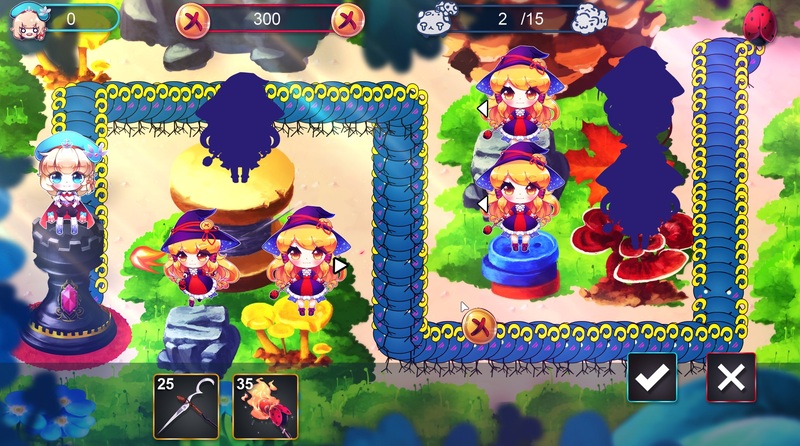 Many of our beta testers have voiced concerns that the prototype is too difficult, while those who have had experience with tower defense in the past will find themselves at home with this game. We have created a tutorial that will help those who have experienced difficulty with our project get past the first 4 waves with perfect HP. The Fire Witch (Range Unit) is a key unit, but should not be built in bulk! Instead focus on planting this unit in a few strategic places throughout the map and upgrading the heck out of it! The Melee Unit is also a key unit and is the only unit who can penetrate shields of certain enemies. While upgrading units is always advisable, when it comes to a unit with such limited range, it is advised to build more of this unit. Upgrade!!!! Watching many gameplay recordings, many people seem to be unfamiliar with upgrade mechanics of tower defense: select a unit placed on the field and press the green upgrade icon. Upgrading units is key to progressing as the enemy types get progressively difficult with each wave. Lastly, just because you have saved up in game money after a wave does not mean you SHOULD spend that money right away. You can always test the next wave and see if you can beat it. Don't forget you can use the "retry wave" option. Our prototype (and the final game) will have a high degree of challenge. Retrying waves was an essential element in this project as it will allow the player to continue to retry waves over and over again. This may not sound like such an exciting thing at first, but when you get into the waves and begin to be invested in the integrity of your castle, you will become very excited as you experiment with the waves and try different unit layouts. Don't forget to give our prototype a try, the official download page from the TinyWars website can be accessed here. 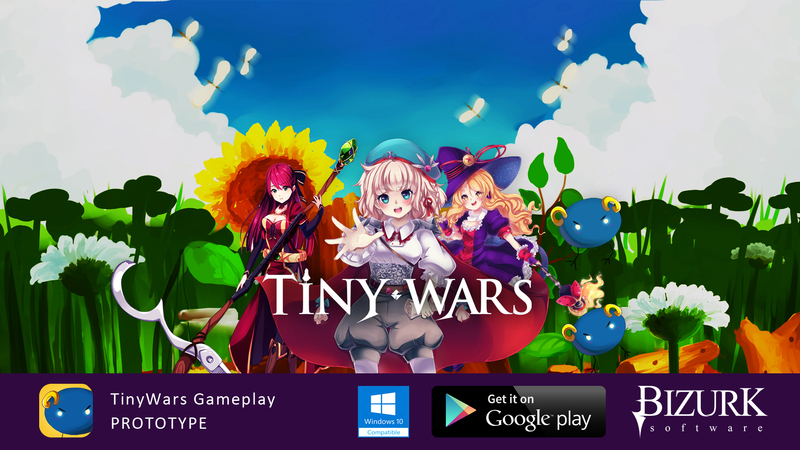 You can also find the prototype easily by searching "TinyWars" in the Google Play store. Thanks for following the development of TinyWars.